Cure JM Foundation was established in October 2003 by Shari Hume, Tom Hume and Lisa Felix, all parents of children with JM, and by Harriet Bollar, grandmother of a child with JM. They were brought together only by circumstance, but with the same determination to find a cure for Juvenile Myositis. Their ultimate goal was to eradicate JM, so that no child would ever have to suffer from this insidious disease again. 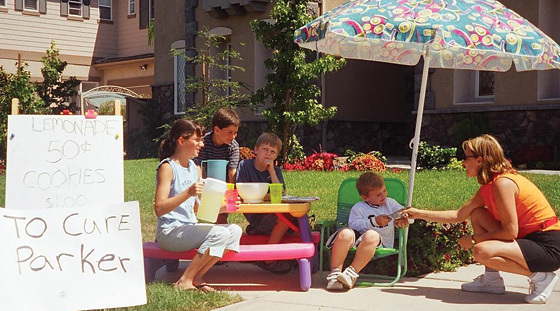 Cure JM's first fundraiser was a modest lemonade stand in Encinitas, California. Soon after, the Foundation established a website to increase awareness of the disease and provide information and emotional support for families impacted by the disease. Over the years, the organization has grown substantially. Through nationwide grassroots fundraising efforts, Cure JM Foundation has raised over $13 million for JM research and education. These funds have been used to help establish JM Research and Treatment Centers of Excellence at the Ann & Robert H. Lurie Children’s Hospital of Chicago, George Washington University in Washington, D.C., Duke Children's Hospital and Medical Center, and Seattle Children's Hospital. In addition, Cure JM Foundation has funded a wide range of genetic and JM treatment studies, as well as fellowships. 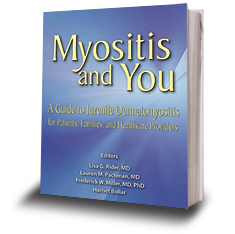 Cure JM also co-produced the first-ever book on JM, Myositis and You, featuring contributions from over 80 experts and medical professionals.